CrossFit 201 – Nutrition Review this Thursday for all Classes! Click HERE for the Regular weekly programming and HERE for the On Ramp! 10 Front Squats with Barbell – Test! 10 Front Squats with Barbell – Retest! Notes: The 3 positions are from the floor, mid-thigh and the high-hang. Perform one full squat clean from each position and then a jerk on the last rep. This means each set consists of 3 cleans and 1 jerk. The jerk can be any style. Focus on hitting those hips every time! If you are just learning and struggling with the positions, perform all 3 reps from the hang. Notes: KB Thrusters should be performed with 2 KBs. Substitute dumbbells and regular pullups as needed. 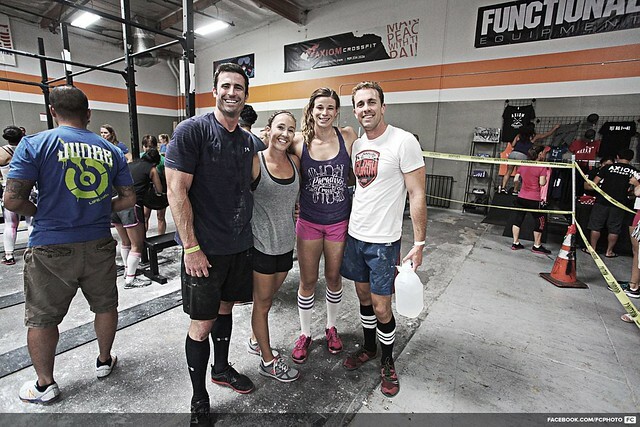 There is so much good stuff out there in the CrossFit World. I have spent the past 8 years watching videos, reading articles and generally being inspired by the information that our community presents. We are constantly challenging the status quo and searching for new ways to teach movements, improve nutrition and lifestyle. Here are a few things I wanted to share! Check out this article written by our very own Coach Suver! “Always a Way: David Lind” – The story of how an Iraq war veteran that lost both his legs has become a dedicated CrossFitter.